Why would I need self storage in Greenwood Village, CO? There are a variety of reasons why you might need self-storage in Greenwood Village, CO.
How much is a storage unit in Greenwood Village, CO? The cheapest storage unit in Greenwood Village, CO is $20.00 per month. What size storage units do you have available in Greenwood Village, CO? In Greenwood Village, CO we have sizes that range from 3'x5' to 20'x25' to suit your storage needs. How much is it for a 3'x5' storage unit in Greenwood Village, CO? The cheapest 3'x5' storage unit in Greenwood Village, CO is $20.00 per month. Greenwood Village is a small community in Colorado's Arapahoe County, with a blend of residential and urban areas that provide a balance of small-town charm and dynamic entertainment and amenities. Its flourishing business districts attract a large number of commuters from surrounding communities, more than doubling the population during the weekday work hours. Native Americans lived on the land around Greenwood Village long before settlers looking for gold arrived in the 1860s. In the early 1900s, the area was filled with orchards that contained plum, pear, apple, cherry and apricot trees. During the same period, Rufus Clark bought 160 acres along the Platte River to grow potatoes. Eventually he acquired 20,000 acres, including much of what would become Greenwood Village. At the time, Cyrus G. Richardson was running Greenwood Ranch, a large farm that included much of what Greenwood Village is today. During the 1930s, the area was a mixture of farmland and country homes. Residents worried their life and land would change as development from Denver continued to grow further south, so, Charles "Rollie" Enos and a group of supporters chaired a meeting at Curtis School, where they proposed a new town called Greenwood Village, named after Greenwood Ranch. On Sept. 8, 1950, an election was held to incorporate Greenwood Village as a town, and the motion narrowly passed. Enos was elected the first mayor of Greenwood Village. The most common industries in Greenwood Village are professional services, financial services and retail trade. Many local jobs fall within the roles of management, sales and business operation. With a number of large business parks, Greenwood Village is home to many well-known corporations. Companies based in the city include American Medical Response, Red Robin, Newmont Mining and CoBank. Many of the city's largest employers are major corporations, such as Fascore LLC, Comcast, Great West Life & Annuity Insurance and Cigna Health and Life Insurance Co. Greenwood Village is also home to a portion of the Denver Technological Center, a hub for high-tech companies. There are two public school districts serving the schools of Greenwood. Littleton Public Schools serves families living west of Holly Street and Cherry Creek School District serves families living east of Holly Street. The city has a few private school campuses, mainly operated by local churches. Metropolitan State University of Denver has a satellite campus in Greenwood Village, offering you a convenient place to pursue your college degree. Utilities: Xcel Energy is the region's central energy provider, while the city utilities department manages water and sewer services. Garbage and Recycling: Collection of trash and recyclables is a service provided only to single-family homes in Greenwood Village. Townhomes, condos and apartments must arrange waste disposal services. Transportation: The Regional Transit District (RTD) facilitates a network of public bus and light rail routes in the area. The city also manages a local light rail system called the Southeast Light Rail Line. Greenwood Village is one of the most expensive communities in the Denver metropolitan area, with median home prices nearly double the metro area average. Home prices in Greenwood Village have been climbing quickly and are expected to continue rising. Our lowest priced units in Greenwood Village, CO average $31.80 per month. 395 people have reserved units in Greenwood Village, CO in the past 30 days. 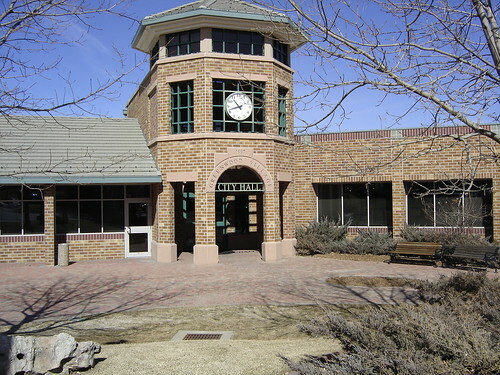 There are 5 locations within Greenwood Village, CO's city limits. There are 3 locations in Greenwood Village, CO that offer AC and Heating features.